I gave Andrew Warner (founder of Bot Academy) a stupid and confused look when he showed me Facebook chatbot use cases in early 2016. “It’s going to be the future of marketing,” he went on excitedly while pushing his iPhone 6s to my hands. I told him that he was crazy. But Andrew persisted. 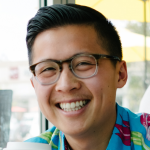 At this point, Andrew had invested in the first venture-backed bot company Assist in April 2015 and have been thinking about chatbots non-stop. It is common to see Andrew excited but rare to see him as enthusiastic as he was about this so I went through a few Facebook chatbot use cases and wow, I could see huge potential with marketing on this. Andrew and I have gone on to build bots for his other business, Mixergy, which did extremely well as our MVP. 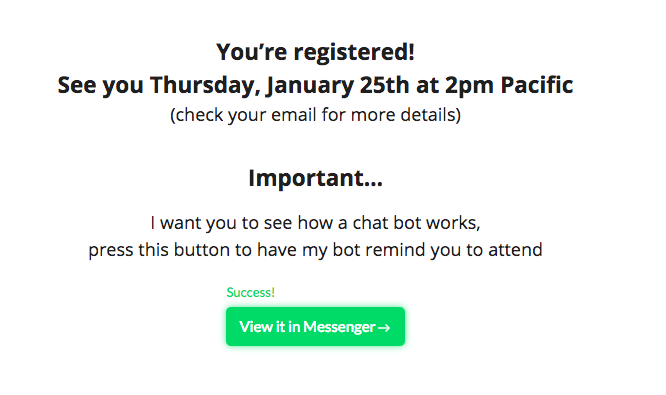 I started building chatbots like Computer Geek and Fly Anywhere for Free, but I knew this had so much more potential than promoting a new laptop stand. Over the last year and a half, I’ve gotten paid to build chatbots for New York Times bestselling authors, companies in Y Combinator, and big ecommerce brands like FourSigmatic. We actually got results. Real ROI. This post will give you practical use cases on how you can implement chatbots into your marketing. Here are some of the many ways I have used chatbots for my clients, or seen our students do, that can produce fantastic results. Let’s review the most basic sales lesson that every entrepreneur needs to know: People buy from people who they trust. How do you earn people’s trust through a chatbot? 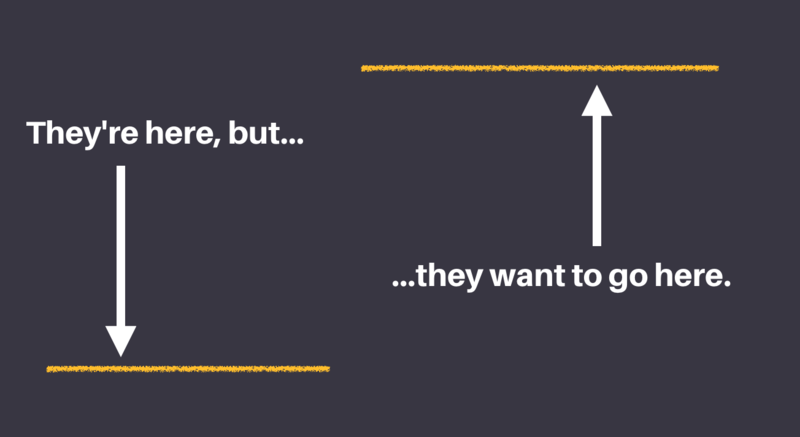 The best way is to understand your audience’s biggest challenge and educate them on how to solve it. This is very similar to my goal of this blog post. I hope that this post is SO valuable to you and your business, that you trust me (and Bot Academy), and eventually join our paid course whenever our doors open next. The same way when I read anything published by Ramit Sethi on personal finance, I follow his advice. If Dmitry Dragilev publishes a tutorial on how to develop a PR strategy for a startup, I follow his advice. In your chatbot, you will create a sequence with any number of messages inside, that will drip to your audience every few days. 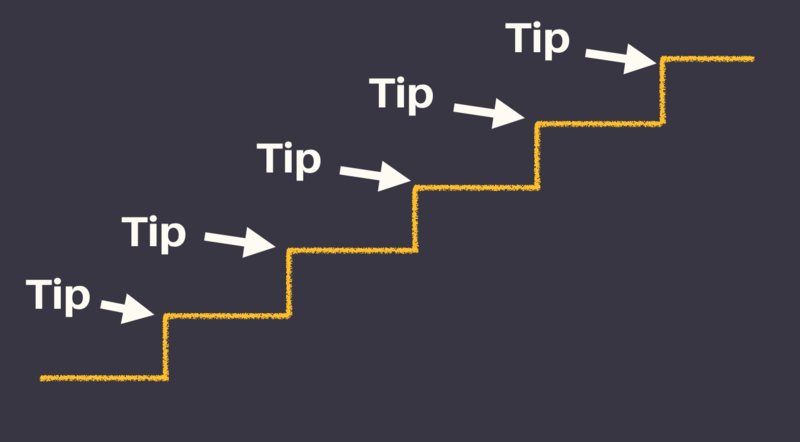 Structure your advice into clear steps so that when you create your sequence, each message will contain an actionable tip to get them going. 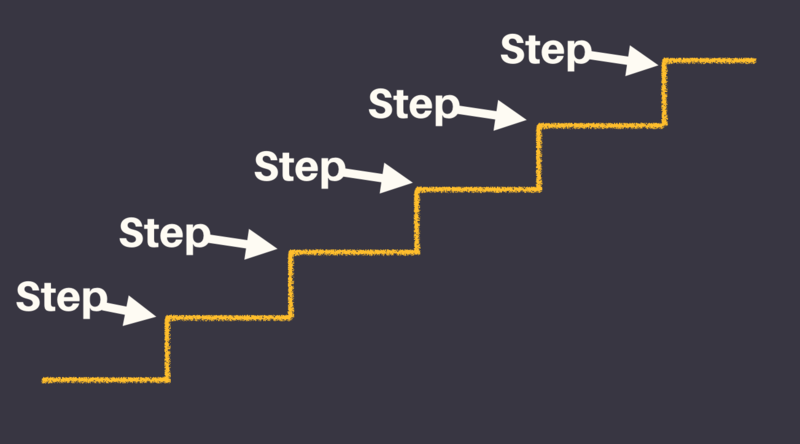 After they go through your sequence, they should have all the resources they need to achieve their goal. 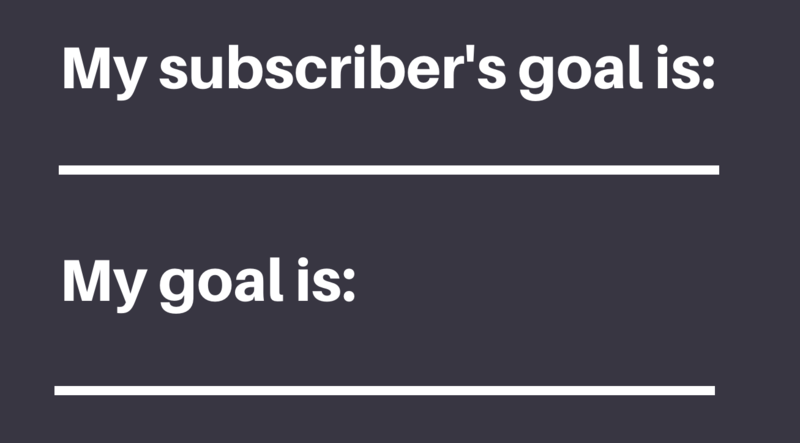 You can’t make an effective sequence until you are super clear on what your subscriber’s goal is, and what your business goal is, because they have to align in order for this to work. A simple example of this is if you are an athletic store, your subscriber’s goal may be to run a marathon. Your goal is to sell more running shoes. That means your sequence will give them helpful information on how to run their first marathon in hopes that when they need to buy gear, you are the first company they think of. How many educational messages should you put? If I see a cool t-shirt at a clothing store for $10, I might even buy it without needing any store associate to educate me on it. 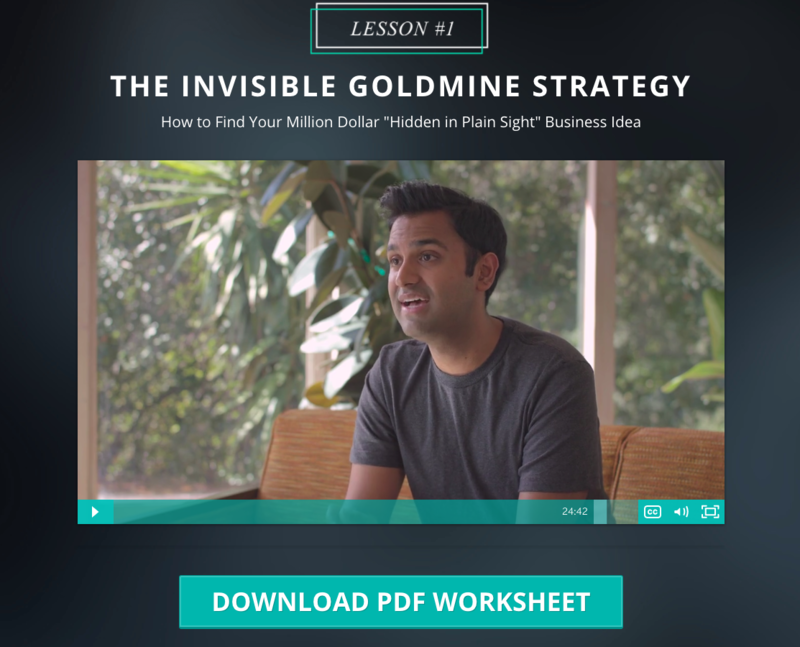 But when I bought a course by Jumpcut Studios that was worth $1,000, they needed to send me so much amazing content before I trusted them, like this 25-minute video for only lesson #1! The content was not only so valuable, it was very well produced, and came with a PDF worksheet that helped me take action. My point is that the higher the price point, the more they need to trust you before they buy. This means you need to give them even more value in your existing messages, add more messages to your sequence, or build relationship offline through a phone call or in-person meeting. 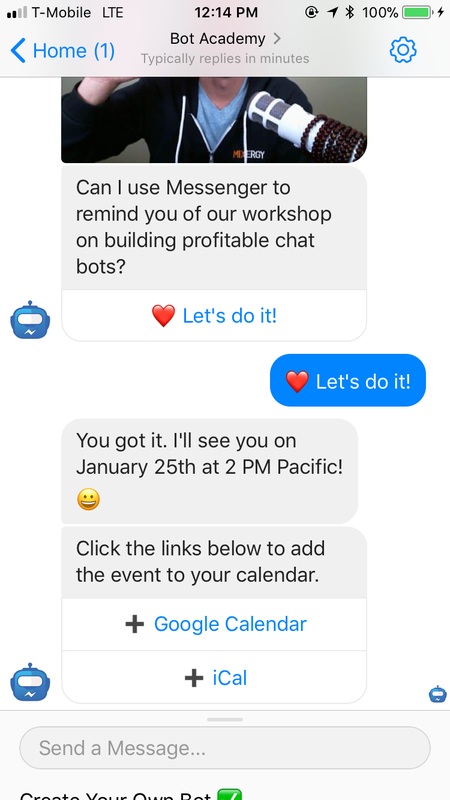 One of the most effective ways to generate more leads with chatbots is getting subscribers every time someone comments on your Facebook post. You see a Facebook post that prompts you to leave a comment with your answer. In this case, marketer Derek Halpern is asking which price converts better: $100, $99, or $97? Once you type in your answer, this is the message that I get from his chatbot. Boom! Now I’m subscribed to his chatbots where I receive updates from him and I get to watch his YouTube video breaking down which price converts better. Another cool way you can use this feature is to activate it during your Facebook LIVE so that when anyone leaves a comment, which the nature of Facebook LIVE encourages, then you will automatically send them a message. Look at Seth Godin using the Comment to Messenger feature in his Facebook LIVE. This is incredible because the amount of friction is so much lower compared to traditional forms of marketing. 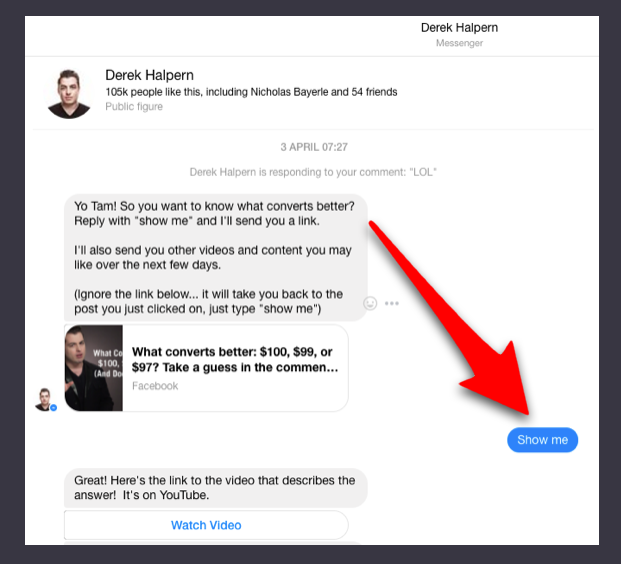 If you want to see one of Seth Godin’s Facebook videos with this feature installed and experience his bot for yourself… click the button below and I’ll send you the post that’s connected to his chatbot. The client said, “That would be awful. Andrew thought the client wanted more communication with their audience. After digging in more, what was most frustrating was spending the time to make sure the audience was a right fit for their services. He wanted us to know that he had some potential customers who are so valuable that he just want to get them on the phone with one of his salespeople. You can have them fill out forms or schedule a call with your team. Or Facebook chatbot use cases like qualifying leads can automate this process for you. This video shows you how to one of the 5 Facebook chatbot use cases to qualify your customers so that you can send them in a different sequence based on who they are or the information they tell you. Qualifying leads on autopilot is such a gift for busy marketers who spend too much time sorting through finding the “right” customers. If this idea appeals to you, click the button below and I’ll send you our step-by-step instructions on how we set this up. 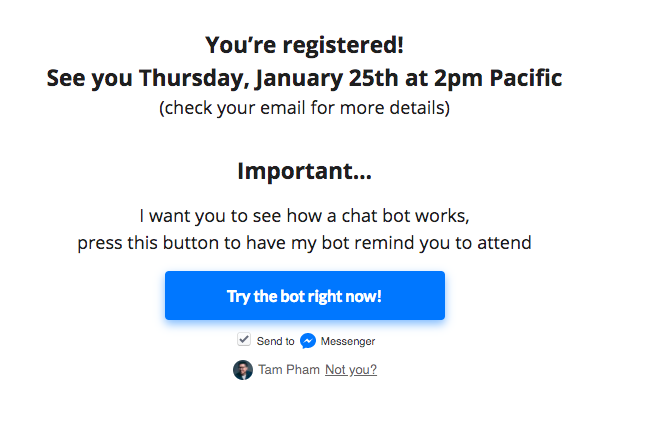 You want to try out chatbots but don’t want to give up your email list. I get you. You can get your messenger’s subscribers email address simply by asking! Once they reply via Messenger, you can set up a zap using Zapier that transfer what they wrote (their email address) into your Email CRM (like Mailchimp or Aweber) or into a database like Google Sheets. This video shows you how to one of the 5 Facebook chatbot use cases to learn step-by-step how to do this. We are NOT saying email is dead. Far from it. We actually believe email and chatbots can work super well together. Having multiple touch points with your customers keeps you top of mind and gives them more buying opportunities. 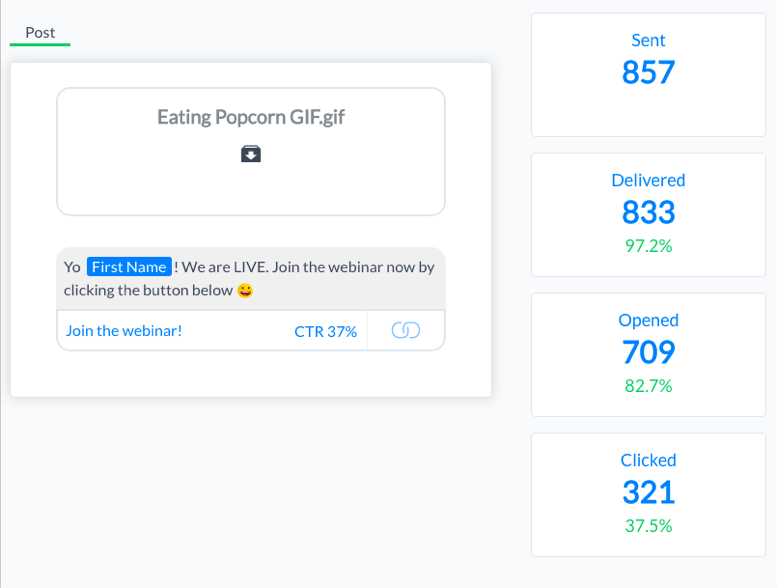 Click the button below to learn how we use email and chatbot marketing together. Some businesses make the majority of their sales through live webinars. That’s one of our revenue streams at Bot Academy. 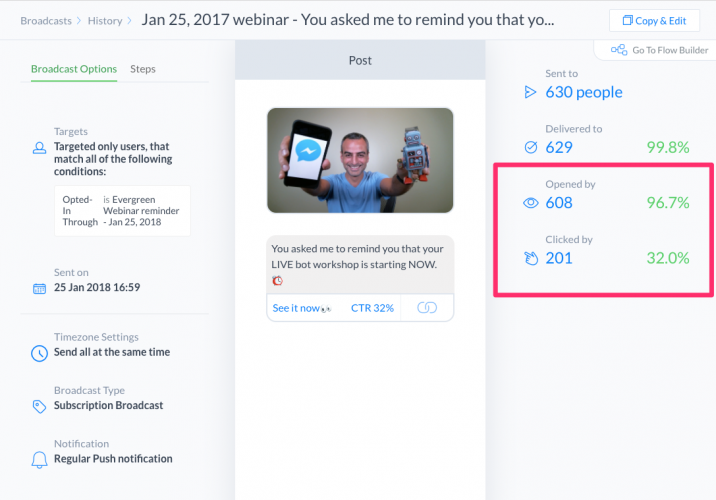 The problem we had was if 500 people who signed up for our webinar, only ~50 people show up (10%). If we convert 2% of viewers, then we only made 1 sale. Our whole team put this amazing registration flow together, prepared so much to deliver a valuable workshop, and wake up to only see 1 sale for all of our efforts. Like any good businessman, I looked at the numbers. More like, my team looked at the numbers and told me I needed to increase the number of people who show up. Why aren’t people showing up? I thought about why I don’t show up to things: (1) It’s not on my calendar (2) Life gets busy and I just forget. This is where my solution for webinar reminders through Messenger comes in. 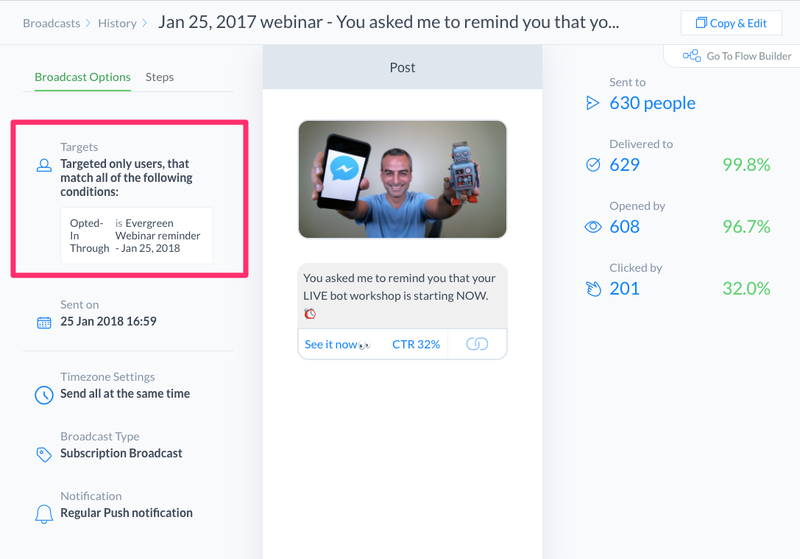 The first time we implemented webinar reminders, 22% people showed up instead of the usual 10%. That’s over DOUBLE of the number of people, which doubled our sales. This video shows you how the flow of one of our 5 Facebook chatbot use cases. Or you can keep scrolling to see photos of the flow. After someone registers via our landing page, they get redirected to this confirmation page. We incentivize people to click the button by telling them how we use it for our business (so meta, I know). Once I click it, I am now tagged on the backend that I am registered for this webinar. After I click “Let’s do it!”, giving my consent, I get prompted to add these events to my calendar. Now that I’m opted in, I am going to get a reminder a few minutes before the webinar starts so I can join in live. Here’s the results for this specific broadcast. 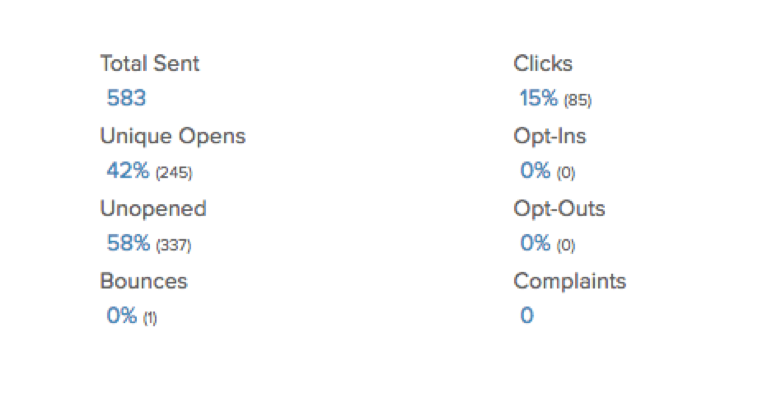 We got 96.7% open rate and a 32% click rate through Messenger. This is in addition to our email notification that we send out a few minutes before the webinar starts which average around ~30% open rate. This broadcast is only sent to the folks that opted for the thank you page for this specific webinar, so we don’t confuse or overlap audiences. This one difference has more than doubled our attendance rate which doubled our sales. I’ll admit something I have never publicly said before: People are hyping up chatbots way too much. But data does not lie: one of these five Facebook chatbot use cases alone can double or triple your marketing effort. Test it and out, see for yourself, and let us know how it goes. Please let us know more Facebook chatbot use cases that you’d like to see demo’ed and generate real results! 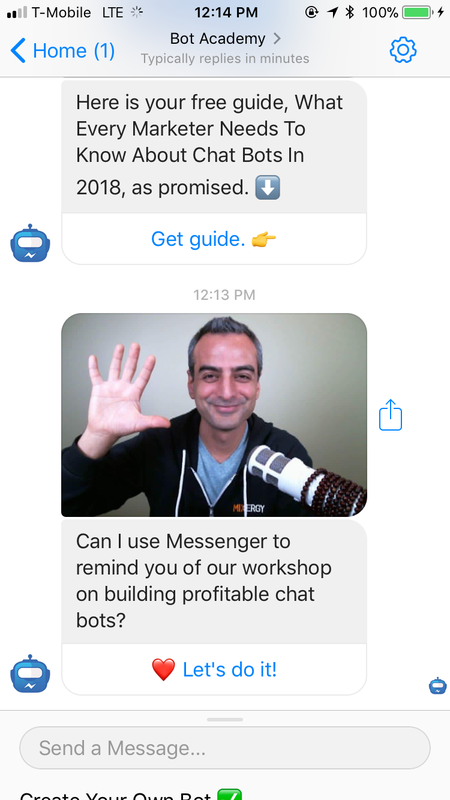 If you’d like a resource guide on everything you need to know about starting a chatbot business for more Facebook chatbot use cases, click the button below and we will send it to you via Facebook Messenger.